Without a strong DR plan, many companies cannot survive and are unable to recover their IT systems after a significant disaster. IDC estimates that as many as 50% of organizations have inadequate disaster recovery plans. 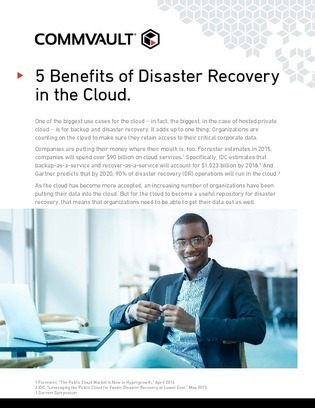 Access this informative document to learn about the benefits that cloud computing provides when employing a disaster recovery solution. Read on to see how implementing a DR plan can reduce your enterprise’s costs without sacrificing service.